they were very helpful and showed great respect at this very sad time they made the whole process so much easier to bear would not hesitate to recommend them at all the staff were wonderful from start to finish. Very efficient All the Staff were very caring Courteous Compassionate .helpful at all times and very smart .Thank you to you all for a trouble free day at a very sad. Day. Dear Mrs Woollven, Thank you so much for taking the time to leave us a lovely review. I will pass on your kind words to the team and thank them on your behalf. Kindest regards, Lee Beckett (Branch Manager). Offered an excellent service at a difficult time. Couldn't fault them. Explained everything clearly and offered advice where needed. Helped us understand the whole process without being patronising. Would definitely recommend. Thank you for your kind words Terri, I was so pleased to read that the team at Mablethorpe were able to help you. Kind Regards, Danny Doherty (Area Manager). My family were so grateful on how my Dad's funeral was dealt with, kept us informed and were extremely respectful at all times. They gave my Dad the best send off in which he deserved. My mum, sister and myself are very grateful to everyone at Mablethorpe Co-operative Funeral Services for helping us plan his funeral during this difficult time. Happy with service.No problems everyone very helpful & caring. Julie at the Mablethorpe office was excellent and could not do enough to help the family. The main hiccup was that we could not visit the Chapel of Rest when we wished as we were informed the coffin ordered was not big enough and we would have to wait until a larger one arrived. In view of the shortness of time to visit the Chapel because of a post mortem and the distance family had to travel this did cause considerable stress. However, other than this we were overall happy with the service provided, particularly on the day of the funeral. There were also quite a few problems with the online obituary, which needed several phone calls to rectify. Thank you for your positive review. Kind Regards Danny Doherty (Area Manager). Hi Alan, we appreciate your positive comments, I`ll ensure that they are passed on to all the team involved Kind Regards David Camm (Branch Manager). Many thanks for your kind review Mr Price, I am glad to hear that you were looked after. Kind regards Danny Doherty (Area Manager). Many thanks Carla for taking the time to review the service you received from our Mablethorpe Funeral home, I will ensure that your comments are passed onto all the team involved. Kind regards David Camm (Branch Manager). Very professional service with a personal touch. No worries in the day and very smooth lead up. Staff were perfect for the occasion and helped make it all go without a hitch. Dear Mr Newell sincere thanks for taking the time to review the service you received from our Mablethorpe funeral home I was pleased to hear that you were looked after professionally. I will ensure that your positive comments are passed on to all those concerned. Kind regards Danny Doherty (Area Manager). The service was excellent from beginning to end. Our needs were respectfully and efficiently met. Taking care of the newspaper announcement, purchase of flowers, choice of celebrant took a great deal of pressure from our shoulders. Thank You! 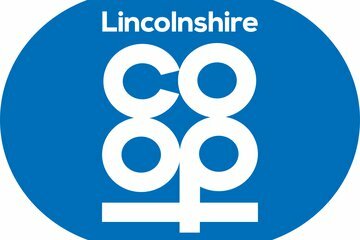 Mablethorpe Co-operative Funeral Service will provide you with a free obituary as part of their service.